The Accountant supports the Chief Operating Officer, contributing to the effective financial management of the organisation overseeing the bookkeeping processing and financial reporting. 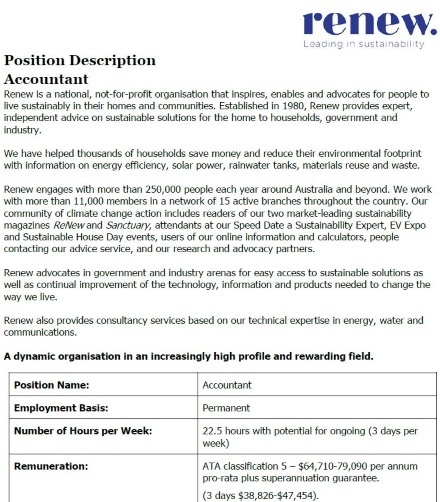 Specific duties include: liaising with staff to prepare monthly internal financial reporting, preparing monthly Finance Committee reports, assisting with Trustee obligations for the organisation’s DGR trust, and guiding staff on the correct application of accounting policies. 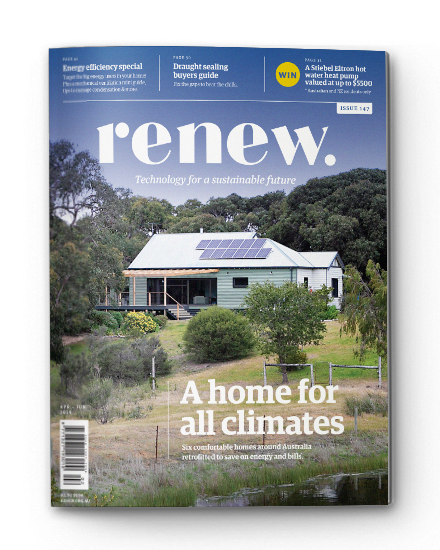 Renew is a national not-for-profit organisation that inspires, enables and advocates for people to live sustainably in their homes and communities. Established in 1980, Renew provides expert, independent advice on sustainable solutions for the home to households, government and industry. Please send an application addressing the required skills and qualifications. 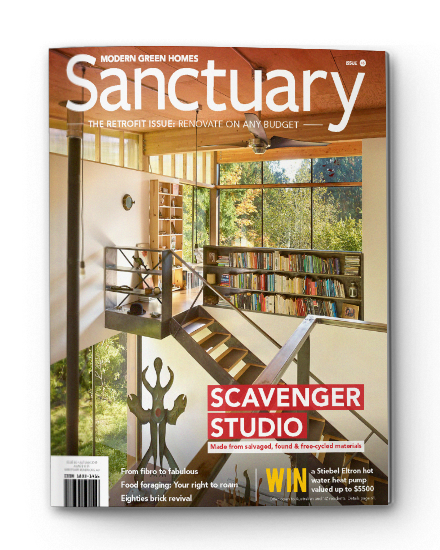 Applications close on April 26, 2019.